It’s time for my Joint Advance review – a supplement I didn’t really trust from the start. The reasons? You can’t find its ingredients anywhere (not even their names). No info about the company behind. They don’t allow you to buy the product. You can only add your personal details and they will send you one free bottle. Now – the last thing seems like an advantage, but it’s usually too good to be true. Some products of this type put you on auto-renewal directly (I’ll explain more below). So is this Joint Advance a scam or not? Is it worth giving out your personal info for a free bottle? Or is there any risk behind? Let me give you all the details about this product. Note: This review is based on my experience + opinion on this supplement. Best Actual Price: It’s not mentioned (on the official website). However – I managed to find it on Ebay for about $40 per bottle. Designed For: Osteoarthritis and cartilage problems. 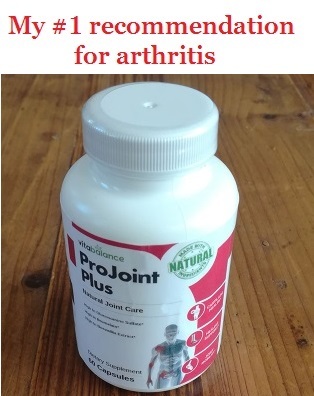 It’s a supplement based on glucosamine – so it works better for OA and joint damage. I wouldn’t recommend it for inflammation. My Rating: 3 out of 10 – I would have rated it lower if it didn’t have so good ingredients. These are signs that the company doesn’t trust their own product. Plus – in many cases, you’re automatically put on auto-shipping without being asked. Shortly – it’s a supplement designed to treat any kind of joint pain, according to its official website. However, there are hundreds of similar products. So what makes Joint Advance so special? Comes as a free trail bottle. There’s no way to find its real price. No info on the company or producer. You need to give out your personal data to receive a free bottle. Now – I know this offer might sound amazing. But I have some experience with products that have similar strategies. And most of the times – you end up in auto-shipping without being asked, having to pay hundreds per bottle. That’s probably not the case of Joint Advance (I didn’t buy it straight from them), but it’s a thing to keep in mind. Well – that’s some general info about Joint Advance. Now it’s time to take a closer look at each of its aspects. First of all – you won’t find Joint Advance’s ingredients anywhere. They’re not mentioned on the official site – but there’s also no picture of the label on Ebay or Amazon. However – once I got a real bottle, I could check them out easily. And surprisingly, they weren’t bad at all (on the contrary). Firstly – this is the best ingredient for cartilage rebuilding. Joint Advance is using the strong form of glucosamine – the sulfate. Most supplements use the weaker one (HCl), so it has an advantage here. We normally have MSM in our body, but its production decreases with age. That’s why supplements can really (especially after 60). Just like glucosamine – chondroitin also rebuilds cartilages. In fact – that’s its #1 benefit. Now, it’s so important because it increases the power of glucosamine (the effect is much better when you take them both). That’s why I always recommend products that have both glucosamine and chondroitin. Now – these herbs are all anti-inflammatory, but they have different intensities. Boswellia and Devil’s Claw are the strongest. Here’s how I would sum up these ingredients in 3 ideas. Unlike most products – Joint Advance contains glucosamine sulfate. Why is this so important? Because it’s the strongest form – the one that works best (according to studies). The first one has a lot of studies behind. On the other hand, the HCl doesn’t have many positive results. However, the HCl is a lot cheaper – so that’s why many brands use it instead. To be honest – I personally never had great results from products with glucosamine HCl. That’s why I never recommend them. But most supplements contain the HCl form, so it’s hard to find one with the sulfate form. That’s why I really appreciate Joint Advance. Believe it or not – Joint Advance’s ingredients have some pretty good doses. And that’s available for most of them – glucosamine, chondroitin, MSM. Even the proprietary blend has a pretty high dose. The average dose is somewhere between 200-500 mg per serving. There are 800 mg in these pills. Now – I’m not sure if such a high dose was necessary. MSM is an anti-inflammatory and this is an OA supplement (you don’t have much inflammation in OA). But it definitely won’t do any harm. To be honest – I can’t criticize the ingredients, since they look really good. Normally – that’s what weak products do. They hide the ingredient list, so that you can’t see it until you purchase the product. However, it’s not the case here – since the ingredients are really good. So that’s the big doubt I have about Joint Advance. To be honest, Joint Advance isn’t the best supplement at this chapter. The don’t have a gelatin cover – so swallowing them isn’t so easy. You need to take 3 per day. It’s better to space them out throughout the day. One bottle is only enough for 30 days. Now – the biggest problem is the size of these pills. As I said, they’re not gelatin capsules – but tablets with a pretty bad coating (in terms of taste). Sure enough, they’re not the largest pills ever (like Osteo-Bi Flex). But they’re still larger than many supplements. That’s why you’re going to need a lot of water with every pill. Therefore – if you have trouble swallowing large pills, Joint Advance isn’t the thing for you. Joint Advance was surely not the worst supplement I ever tried. It did its job partially – but it was far from working great. I had a form of osteoarthritis in my knees. 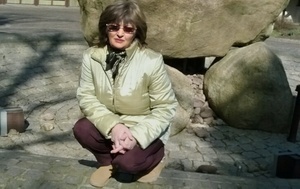 I was suffering from RA – so that’s what caused the secondary OA. So I was curious to see if Joint Advance could do anything about this. My knees were very inflexible and rigid after the first 2-3 weeks. In the last week, they started feeling softer. However, I still couldn’t move or stand for a long time. There was some improvement before I finished the bottle. The pain didn’t get much better (but it had never been terrible). So overall – Joint Advance did help my knees, but only partially. However, it might have worked better if I had taken it for an extra month (I’m pretty sure). Therefore – this product might be helpful, but it’s surely not the fastest one I tried. Considering the problems it has with its price and website – I would probably not recommend it (not as a top choice). I couldn’t find too many authentic reviews about this supplement. Most were made by general writer – not real customers, as I needed. Note: I only considered the reviews that looked authentic (not general ones). Some say it helped the pain partially. Others say it was useful, but they still rank it 3/5. On the other hand, some people say it didn’t help. Others even say they had absolutely no results. Now – I know these are pretty vague reviews, but that’s all I could find. There’s not detailed review or one that presents the whole case. So that’s the reason why I didn’t rank Joint Advance higher at this chapter. I would have ranked it 7/10 for opinions and 3/10 for the number of reviews. Things are a bit more complicated here – because Joint Advance isn’t the typical product (from this point of view). Basically – there’s no price mentioned anywhere. You can’t actually purchase Joint Advance. At your first order – they only agree to send you a free bottle. In order to get it, you have to fill in your personal data. Obviously, you have to pay from second bottle on. However – the price is hidden (and probably secret until you order the free bottle). Now – you might say that this is amazing. In my opinion – it’s too good to be true. I say this based on my experience with other products that follow the same strategy (free bottle first). Now – I’m not claiming this is the case of Joint Advance as well. I didn’t buy it from the official website, so I can’t tell. However – the fact that they don’t mention the price is a warning sign. In theory – Joint Advance is only available on the official website. The prices on both are around $30-$40 (from the first bottle). So basically – it’s only the official website that offers a free trail bottle. The only advantage is that Amazon and Ebay are less risky – so there’s no chance you are put on auto-shipping. Note: Since I wrote this review, Joint Advance is not longer available on Amazon. There’s no name of the brand/company behind. In fact, you can’t tell anything about the producing company. On Amazon, this supplement is sold by Pacific Naturals. I don’t know if it’s a company or just a seller, but I tried to see its other products and I couldn’t find anything. So the company may be named Pacific Naturals – but I’m not very sure. I did a quick search on Google and I couldn’t find anything about it – so maybe this name doesn’t even exist. Therefore, I didn’t manage to find any company info, not even the name. That really made me question Joint Advance and its credibility. My Verdict – Is Joint Advance Worth Buying? No price mentioned (not even for future orders). You have to give out your personal info. No info about the company. As I said, this kind of products put you on auto-renewal automatically. And sometimes you end up paying the free bottle as well. Now – I’m not saying that’s the case of Joint Advance as well. I can’t really tell. It might be, or it might not. In terms of effect – it might work, but you will probably need more than 1 bottle to notice any effect. So you will still have to pay for it, that’s what I think. Would I buy it again? : Definitely not. I prefer to pay money for a supplement that has real info and real ingredients. Obviously – it’s up to you what you choose, so you may order a free bottle of Joint Advance. If you’re willing to take the risk, I say you go for it. You don’t have too much to lose. My Baxyl Review – Better Than Regular Hyaluronic Acid? This is a scam! I ordered the free bottle but felt no difference in my hips after 1 month of usage, so never ordered any more. After one month I received an order I did not place, guess what it has inside? one bottle of joint advance! I was curious why they sent it since I never paid for it, but later realized I had been charged over $30 from my credit card… have no idea how they got all the data. I sent the product back and am currently waiting to get my refund. If I don’t I will threaten with suing them, they can’t trick me like that. Would not recommend giving out your personal data even for the free bottle, better pay for something else and know you’re safe. Hi John, thanks a lot for telling your experience with Joint Advance. To be honest, that is really scary. But it’s not the first supplement I hear this story about – many others do it and put you on auto-shipping without asking. That’s the risk of getting a free product, actually. But there’s something I don’t understand. As far as I know, they don’t ask for your credit card info when you order the free bottle. Or do they? Because if they don’t, how could they charge your credit card? They couldn’t access it just by knowing your name and address. I really hope you can get your refund, because companies of this type don’t always accept it. But considering the bottle is unopened, they should refund you. Thanks a lot for sharing your story with Joint Advance.